Greetings and blessings. 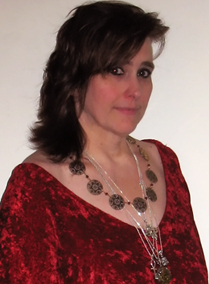 My name is Kyri Spencer and I am a clairvoyant psychic adviser and medium. I have been granted gifts which enable me to provide people with guidance and insight, to answer their questions and address their concerns with a special perception that transcends available knowledge. These gifts allow me to assist people with overcoming their obstacles, recovering from the loss of loved ones, making decisions about paths to take in life, and alleviating the uncertainties and anxieties that trouble the mind and obscure their aspirations. My abilities allow me to answer questions about life, love, health, career, and family with an accuracy that people truthfully find astonishing. My gifts include the ability to provide a channel of communication with spirits, bringing closure and comfort for those who have lost loved ones. I have supplemented all these gifts with study, training, research, and practice in a large number of related fields and disciplines over the course of 30 years. 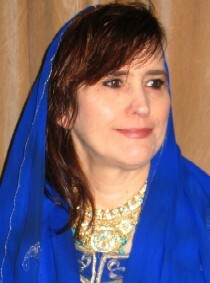 I have served as a licensed psychic reader and adviser within establishments in Salem Massachusetts. I provide my services in person, by telephone, or by internet communications with video via web-camera. I offer you my services, through me these gifts are available to you. If your needs are beyond the scope of my abilities, I will refer you to other gifted individuals who may better serve you. The buttons above provide information about some of the services I provide. My calling is to aid, to comfort, to teach, and to heal. How may I help you? For people who are unable to travel for a face to face session but still prefer a more personal reading, the web-video reading session option is the perfect alternative because it allows you to experience a psychic reading or tarot reading from the comfort of your own home. All that is required for online readings is an installation of Yahoo Messenger or Skype communications software. You are not required to have a web camera for your end of the conversation, just headphones and a microphone. I recommend that people record the sessions, either using the audio recording that is built into the software or capturing the video as well using add-on software that is available for download. The ability for some individuals to know the unknowable and to foresee the unforeseeable has been documented since the dawn of writing itself. Sumerians in ancient Mesopotamia left evidence in pictograms of the arts of divination almost three thousand years before the birth of Christ. In the following centuries the inhabitants of Mesopotamia scribed all the collected knowledge of the many arts of divination in cuneiform on clay tablets. This tells us that for at least five thousand years mankind has recognized the fact that there are people with gifts that allow them knowledge beyond the scope of what information is available to them. For at least five thousand years mankind has had a fascination with knowledge of the future and contact with the departed. For thousands of years the leaders of nations and city-states consulted their venerated oracles prior to making decisions that would in turn affect the course of world history. They did this openly at first, and then ever more secretly, as ever increasing stigma was placed upon the arts of divination. Alexander the Great freely consulted oracles and prognosticators while Queen Elizabeth had favored astrologers and seers whom she conferred with very privately. Very early Christian texts had documented forms of divination not as heretical practices, but as acts of "divinare", the Latin word meaning to see beyond, to be allowed knowledge by divinity. Today leaders, facing a far greater scrutiny for holding unconventional beliefs, have abandoned consultation with psychics and oracles. However, in spite of the stigma and skepticism, police agencies the world round acknowledge that they receive valuable tips about cold cases from psychics and in some cases have recruited psychics to aid them in the investigation of cases which are proving unsolvable. Undeterred by modern skepticism and religious stigma, today hundreds of thousands of people every year consult with psychics, mediums, and astrologers, seeking to gain insight about the choices that face them or advice about the difficulties with which they are coping. It's useful to begin by establishing some perspective on what is possible in nature before contemplating what would seem supernatural, to review what amazing abilities can be found amongst various species that inhabit just this one planet in the vast cosmos. This gives us a sense of what possibilities could exist for us as well with our five known senses and those not quantified by science. Think of what other species accomplish without any technology whatsoever, or rather, using the technology that nature has granted them. Everywhere are insects that communicate non-verbally but instead biochemically, passing information throughout a colony almost instantly. Such insects can follow minute pheromone trails left by other members of their particular colony. Birds have in their bodies' natural compasses that allow them to recognize the magnetic poles, a built-in GPS that permits them to follow precise migration paths when they have registered the changes in the seasons. Various insects can see spectra that our own eyes cannot. Dogs and cats have senses of hearing and smell that are many times greater than our own, allowing them to navigate great distances by a cataloging of scents. Their senses are so acute that they are able to see in darkness and to sense approaching earthquakes and storms. There are animals which can instantly change the pigmentation of their entire body in order to blend in with their backgrounds, or generate biochemical luminescence to attract mates or prey. Humbling is the fact that there are natural miracles all around us that would sound like science fiction if we were just visitors to this world. Some are so astonishing that if they were possessed by some human beings, we might mistakenly categorize them as supernatural. Now with that in mind, we can contemplate what is possible for our own species. What is the Gift? What is a Psychic? The psychic gift is often referred to as second sight or use of the third eye because we consider our greatest source of information to be our vision. This is because with all of our other senses we ignore the vast majority of the information that is being received. With sight, our brains do not demote most of the information as being background noise while our minds quickly forget about sounds, smells, and touch sensations that aren't relevant to our fields of focus. When a psychic gazes at a visual focusing agent such as a crystal ball, an image on a Tarot card, patterns in candle wax or in sand, in essence they are performing auto-hypnosis and are placing themselves into a hypnotic state. In a hypnotic state, the mind is extremely open to suggestion and is receptive to information without the filtering and interpretation that the conscious mind performs. This is what allows a hypnotherapist to provide suggestion that assists a person in removing negative habits from their lives such as smoking or substance abuse. For the Tarot reader, a partnership exists between the Tarot cards and the mind. The ordering and the orientation of cards drawn from a deck are only part of the equation. A reader chooses a deck which "speaks" to them, a deck that engages their mind fully, with cards that draw their complete attention, placing them in that hypnotic state. Often readers may have a favored Tarot deck or may alternate between several decks, choosing the one that speaks to them the most at a given time or circumstances. The symbols and characters portrayed on the cards reside in the collective unconscious: archetypes, some obvious, some subtle, some sources of nearly endless interpretation. In the state of auto-hypnosis, the psychic becomes the medium, a conduit through which knowledge and information pass. This information can come from any number of sources and each psychic may connect to different sources of information. A clairvoyant is able to see beyond the narrow sliver of time we call "now" and the narrow breadth of distance we call "here" and envision amongst the nearly infinite web of possibilities the events which are probabilities and of those, events which may become inevitabilities. A spirit medium receives information from whatever entities or intelligences are present and these sources of knowledge may also have the capacity to see beyond the here and now, both into the past and into the future. Consider that which physicists through observation, measurement, and calculation consider the plausible origin of our existence. At the beginning of the cosmos, of time, all the matter that we are, all the matter that surrounds us, all the energy, all the light, the heat, and sound, the forces of gravity and of motion, every molecule in your body, every atom in every molecule, and every subatomic particle within those atoms, all these things existed as one single point of energy and information: not merely all things connected, but all things being one. Having all shared the same origin, is it possible that some connectivity remains after the cosmos was formed from that single point? Even the emptiness of space, physicists speculate, is full of matter and energy. In essence, everything touches everything else, in both space and in time. Does the butterfly flapping its wings in South America affect the weather in Central Park and is that butterfly actually part of a system which appears as chaos only due to its complexity? Our individual lives can be chaotic but we are part of a complex system and we are butterflies surrounded by butterflies. A psychic has the ability to sense their wings in motion and to foresee the rain that falls in Central park. They have the ability to stretch their perception out beyond the limits of the five known senses and to tap into the connections that exist between all that was once one. Now is a window in time. Now is what is. Is it possible to see beyond the now? Is it possible to open that window in time just a little bit wider? Playing cards first appeared in Europe around the end of the 14th century, with suits quite similar to the tarot suits of Swords, Cups, Staves, and Pentacles. The first known tarot cards were created between 1430 and 1450 in Milan, Ferrara and Bologna in northern Italy, when additional allegorical illustrations were added to the typical four-suit pack. These new decks were initially called triumph cards, and the additional cards known simply as trionfi, "trumps" in English. Though originally intended for the playing of games, divination using playing cards is in evidence as early as 1540 in a book entitled The Oracles of Francesco Marcolino da Forli which allows a simple method of divination, though the cards are used only to select a random oracle and have no meaning in themselves. Writings from 1735 and 1750 document rudimentary divinatory meanings for the cards of the tarot as well as a system for laying out the cards. Tarot cards would eventually become associated with mysticism and magic but they were not widely adopted by seers, mystics, and occultists until the 18th and 19th centuries. In 1781 a Swiss clergyman Antoine Court de Gébelin published a study that included the topic of the survival of religious symbolisms in the modern world. Gébelin asserted that the name "tarot" came from the Egyptian words tar, "royal", and ro, "road", and that the Tarot represented a "royal road" to knowledge. He proposed that symbolism of the Tarot de Marseille represented the mysteries of Isis and Thoth. De Gébelin also asserted that the Romanies, who were among the first to use cards for divination, were descendants of the ancient Egyptians and had introduced the cards to Europe, though no Egyptian writings discovered so far validate this assertion. Regardless, the identification of the tarot cards with the Egyptian Book of Thoth was firmly established in occult practice and continues to the present. French occultist Jean-Baptiste Alliette, in the 1780's, was the first to issue a tarot deck specifically designed for divination rather than game playing. In keeping with the belief that tarot cards are derived from the Book of Thoth, his tarot contained themes related to ancient Egypt. In the nineteenth century occultist Eliphas Levi attributed the origins of the Tarot to Israel, when he asserted the existence of a correlation between the Kabbalah and the Tarot. In 1910 Arthur Waite and artist Pamela Coleman Smith produced a Tarot deck that was a culmination of the wisdom of many societies and became an unofficial standard, the influence of which can be seen in very many modern decks. Founded in 1626, Salem Massachusetts has a rich history as an early center of trade and commerce, an important component during the American Revolution and the War of 1812, and unfortunately as the location of one of the ugliest episodes of injustice in the nation's history, the Salem witch trials of 1692. Association of the witch with Salem for commercial purposes dates back at least as far as the first half of the 20th century. Dramatization of the witch trials in Arthur Miller's The Crucible in 1953 revitalized interest in the episode while making a statement about McCarthyism. During the 1960's, at a time when people were rediscovering overshadowed spiritualities and traditions, individuals were drawn to the "witch city" as a place where they could more openly express their spiritualities. Acceptance of the witch was further increased when the image was used for entertainment purposes in the 1970's, when several episodes of the TV show Bewitched were filmed in Salem. This exposure expanded tourism significantly and with the cities' rich history, including that of the dark period of 1692, the curious were drawn from across the country and around the world. The characterization of the witch became a beacon for actual witches: devotes of Paganism and religions of nature, and practitioners of folk magic. Among these people are found many who have recognized and practiced their gifts of clairvoyance and mediumship. 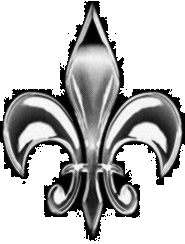 Over time Wiccan and New Age boutiques and magick shops appeared in the commercial districts and in many cases they also provided locations from which psychics, readers, and mediums could provide their services. Today full fledged psychic parlors exist which are dedicated to providing the public access to gifted people. Salem's city government requires that commercial psychics and readers be licensed and that criteria be met before a license is issued in order to protect the public from those who would exploit those seeking help and guidance. Symbols communicate meaning pictorially, many representing beliefs and long standing traditions. The symbols selected for this website have special meaning for those who have the gift of sight and for those who recognize the divinity that surrounds them. the owl - symbolic of inner-knowing, psychic ability, insight, and intuition, connected with magic and shamanism. In middle and far eastern cultures, the owl is a sacred guardian of the afterlife, ruler of the night, a seer and keeper of souls transitioning from one plane of existence to another. 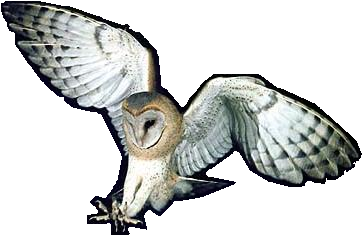 The ancient Greeks attributed the owl to Athena, goddess of wisdom and foresight. Native Americans attributed owls with wisdom and sacred knowledge. 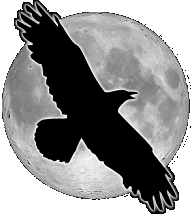 the raven - connected symbolically to both wisdom and prophecy. In ancient Greece the raven was the messenger of the sun gods, Helios and Apollo. In Norse tradition, Odin, also known as Hrafna-Gud (God of the Ravens), had two ravens, Huginn (thought) and Muninn (memory) who flew about the world gathering knowledge and delivering messages. planetary symbols - many thousands of years mankind has associated aspects of its own traits or archetypes with the bodies that make up the celestial clockwork, and astrology is the art of mapping the macrocosm of the heavens to our own physical being.